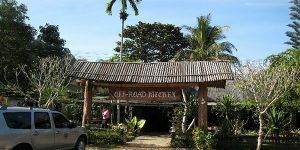 Kanchanaburi is a province in Thailand that has plenty of nature. 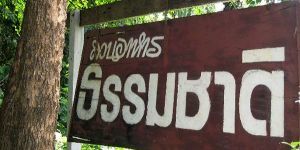 Forest and rivers can be found almost every area. 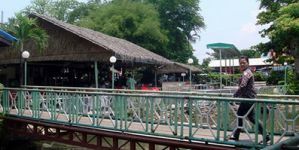 Freshwater fish is then a meal that common for local residences to cook. 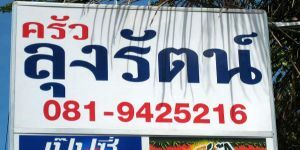 Not surprisingly, at any restaurants in Kanchanaburi, fish dish is on the recommended food list. 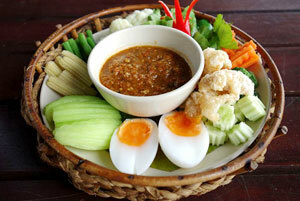 There are fish in different type of cook – grilled, streamed, paste, boiled, and so on. 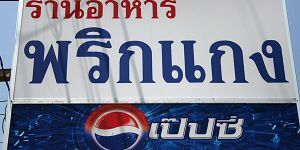 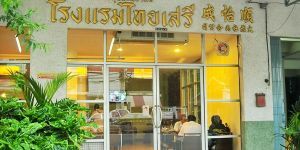 Apart from fish menu, restaurants in this province are also famous for strong flavoring dishes, especially hot and spicy food, which seem to be more suitable for Thai customers. 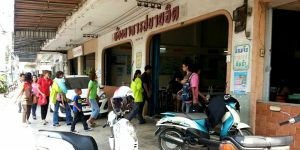 Seafood here are also available and they are still fresh because of it is not so far from the sea like the north of Thailand. 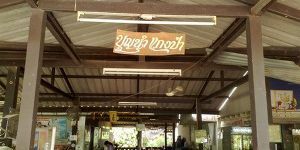 Now, it's time to explore what recommended places for you to eat in Kanchanaburi. 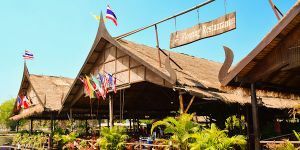 Krua Lung Rat Restaurant is a well-known restaurant in Tha Muang district, Kanchanaburi. 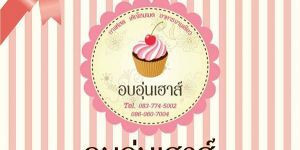 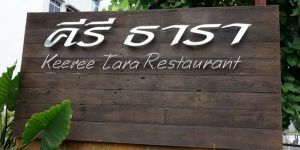 With delicious dishes served and inexpensive price, there are a number of (Thai) customers recommending this restaurant when visiting this area. 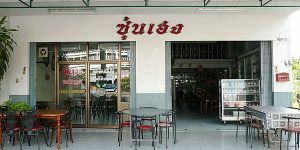 Local Thai food is the main type that customers can order in this restaurant.